From May 4 to 11, the Intl. 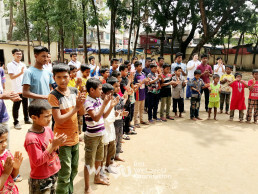 WeLoveU Foundation provided emergency medicines, basic medical devices, and freezers for the healthy life of the children at Mirpur Nursery in Dhaka, Bangladesh. In January last year, the nursery’s dormitory facilities became unavailable due to a magnitude 5.5 earthquake. Then, the WeLoveU built out the facilities and repaired the restrooms. 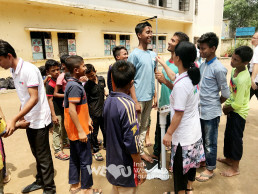 Since the reconstruction of the dormitory, the WeLoveU, which had paid more attention to the Mirpur Nursery, delivered 21 kinds of medical supplies such as various medicines, ointments, Band-Aids, and bandages, and basic medical tools such as height-measuring device, scales, and blood pressure gauges for the health check and emergency treatment of the children. 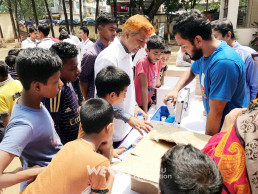 In addition, WeLoveU donated freezers so that easily perishable foods can be stored during the hot summer season. 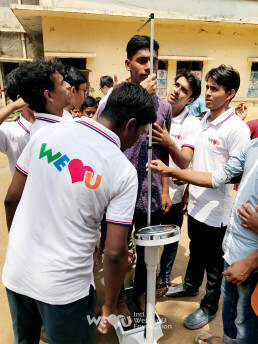 The director and other nursery staff members expressed their gratitude to the WeLoveU and hoped that the Foundation would continue helping the children. Through this support, the children’s living environment has improved by having their health checked regularly and preventing food poisoning. The children rejoiced very much while using the height-measuring device and scales. Later, WeLoveU is planning to donate books for better education environment of the children.